Stacey is the Assistant Director for Educational Technology at the Center for Teaching. She also holds an appointment as a Senior Lecturer of Spanish in the Department of Spanish and Portuguese, is Affiliated Faculty in the Center for Second Language Studies, and Adjunct Faculty in Peabody College’s Masters program in English Language Learners. In the fall, Stacey often teaches SLS 6030 – Foreign Language Learning and Teaching. This methods-oriented course will explore principles and practices of teaching a second language with concentration on recent interactive and communicative models of foreign language instruction. This year, Stacey will also teach EDUC 6580 – EFL Methods, a course that will explore the methods and classroom practices that best support foreign language learning in international contexts as well as EDUC 3720 – Principles for Teaching ELL Students, a course for non-ELL education majors that prepares them to understand and support English language learners they may have in their classrooms. 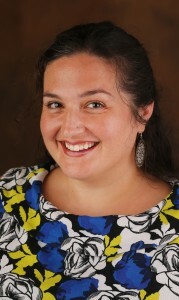 In spring 2019, Stacey will teach SLS 7040 – Second Language Acquisition: Current Theories and Research, a graduate seminar that explores second language development from the perspectives of cognitive and sociocultural theories.You can check out some of Stacey’s students’ work on the course blog Second Language Studies. Stacey’s research interests include classroom practices, hybrid/blended instruction, and adult language learning including transformative learning and the development of intercultural competence. Her first book, Hybrid Language Teaching in Practice: Perceptions, Reactions, and Results, co-authored with Berta Carrasco, was published in March 2015, and her second book, Adult Learning in the Language Classroom, came out later that same year. Currently she is working on two projects: a study of adjunct language faculty’s professional development and her third book, co-authored with Claire Knowles with expected publication in 2019, about the potential of a problem-based model for language and culture instruction. Stacey’s hybrid teaching experience and expertise in educational technology are central to her role supporting Vanderbilt instructors as they explore how Brightspace and other online learning platforms can be more effectively used to enhance student learning. She also works with language faculty in support of language teaching on campus. Johnson, S.M. (2015). Adult learning in the language classroom. Bristol, United Kingdom: Multilingual Matters. Carrasco, B., & Johnson, S.M. (2015). Hybrid language teaching in practice: Perceptions, reactions, and results. Dordrecht, The Netherlands: Springer. Johnson, S.M. (2018). An interview with Terry A. Osborn. Dimension, 9-15. Finch, V., & Johnson, S.M. (2017, Oct/Nov). Collecting Authentic Language and Culture. The Language Educator, 12(4), 47-48. Grenfield, J., Johnson, S.M., & Finch, V. (2017). Students as producers, curators, and consumers of authentic resources through participatory pedagogy on-campus and abroad. In S. Dubreil & S.L. Thorne (Eds. ), Engaging the world: Social pedagogies and language learning (pp. 227-252). AAUSC Issues in Language Program Direction. Boston, MA: Heinle. Randolph, L.J., & Johnson, S.M. (2017). Social justice in the language classroom: A call to action. Dimension, 9-31. Johnson, S.M., & Randolph, L.J. (2015, Aug/Sep). Critical pedagogy for intercultural language learning: Getting started. The Language Educator, 10(3), 36-39. Johnson, S.M., Maiullo, S., Trembley, E., Werner, C.L., & Woolsey, D. (2014).The selfie as a pedagogical tool in a college classroom. College Teaching, 62(4), 119-120. ACTFL Critical and Social Justice Approaches SIG & Teaching and Learning of Culture SIG Webinar: Teaching Culture for Transformation. ACTFL. May 9, 2018. Promoting Student Engagement in a Hybrid Language Course. IALLT. October 18, 2016. ACTFL Teaching and Learning of Culture SIG Webinar: Bringing Culture Instruction and Social Justice Together in the Language Classroom. I hosted Dr. L.J. Randolph. ACTFL. June 23, 2016. I started this podcast as part of my work with the podcasting faculty learning community at Vanderbilt, in part in order to provide my graduate students in my language teaching methods courses with both content related to our course as well as opportunities to participate in the production of the podcast. I have produced 84 weekly episodes and 38 newsletters as of 12/21/18. This podcast explores innovative uses of technology in education and is a collaboration of the Associate Provost of Digital Learning, the Vanderbilt University Library, the Vanderbilt Institute for Digital Learning, and the Center for Teaching. 2018 Sessions “Part-Time⁄Adjunct Language Faculty and Professional Development” and with L.J. Randolph and Jen Wooten. “Enacting Social Justice in Teacher Education”. American Council for the Teaching of Foreign Languages (ACTFL). Nashville, TN. November 2017. 2018 Session. “Intercultural Communicative Competence (ICC): Getting Started”. Tennessee Foreign Language Teaching Association (TFLTA). Franklin, TN. November 2018. 2018 Presentation with L.J. Randolph. “Social Justice in the Language Classroom: From Theory to Practice”. Southern Conference on Language Teaching (SCOLT). Atlanta, GA. March 2018. 2017 Sessions with L.J. Randolph . “Social Justice in the Language Classroom: A Call to Action” and with Jacob Abell, a GTA and my graduate methods student. “Connections: Case Studies on Linking Literature and Language Teaching”. ACTFL. Nashville, TN. November 2017. 2017 Panel with Cassandra Glynn, L.J. Randolph, Beth Wassell, & Pam Wesely. “Challenges and Opportunities for Social Justice in World Language Teacher Education: Critical Media Literacy”. Language Teacher Education (LTE) Conference. Los Angeles, CA. February 2017. 2016 Workshop session. “Engage the Real World: A Problem-Based Model for Teaching Culture” ACTFL. Boston, MA. November 2016. 2016 Presentations. “Organizing Language Instruction with the Experiential Learning Model” and “Intercultural Communicative Competence: Tools and Methods” (the latter co-presented with Lee Forester). 98th Annual American Association of Teachers of Spanish and Portuguese (AATSP). Miami, FL. July 2016. 2015 Workshop session. “Transformative Language Learning: From Theory to Practice”. ACTFL. San Diego, CA. November 2015. 2015 Presentations. “Getting the Most out of your Online Discussion Boards” and “Demonstrating Intercultural Language Learning”. 97th Annual AATSP. Denver, CO. July 2015. 2014 Workshop. “Hybrid Language Teaching” 2014 Conference of Midwest Association for Language Learning and Technology (MWALLT). Bloomington, IL. November 2014. 2014 Presentation with my undergraduate methods students. “Problem-Based Culture Instruction: Engaging Real-World Issues in the Language Classroom“. 2014 Conference Michigan World Language Association (MIWLA). Lansing, MI. October, 2014. 2014 Presentations. “Smartphone Pedagogy: Putting Gadgets to Work in the Classroom” and “Teaching Culture for Transformation”. 96th Annual AATSP. Panama City, Panama. July 2014.